Pier 55 is back from the dead. For real. 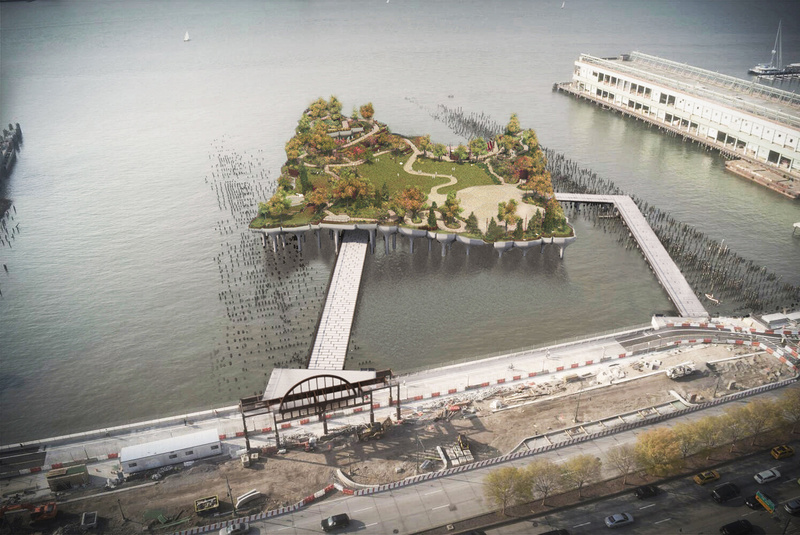 Just in time for Halloween, Barry Diller has raised Pier 55 from the dead. Today Diller, the financier and chair of media conglomerate IAC, issued a statement today on the project, a Thomas Heatherwick–designed pier and performing arts center in the Hudson River he was funding up until last month. “I’m going to make one last attempt to revive plans to build the park so that the intended beneficiaries of our endeavor can fall in love with Pier 55 in the way all of us have,” Diller said in a statement, which was first reported by the New York Times. Diller pulled out of the $250 million just 43 days ago, after opponents, mainly the City Club of New York, challenged the project repeatedly in court. The parties were negotiating a settlement that would allow the project to move forward just prior to Diller’s pull-out. Now, none other than Governor Andrew Cuomo has stepped in to facilitate a preliminary agreement between Diller and the City Club, which agreed to abandon their fight in the courts. According to Gruen, the deal assures that key parts of the park, like underutilized piers, will be rebuilt, and the governor has promised state money for these projects. The Hudson River estuary will also be protected. The agreement, however, has not yet been formally drafted and signed by the stakeholders, which include pier stewards the Hudson River Park Trust. Is Windsor, Florida, peak New Urbanism?